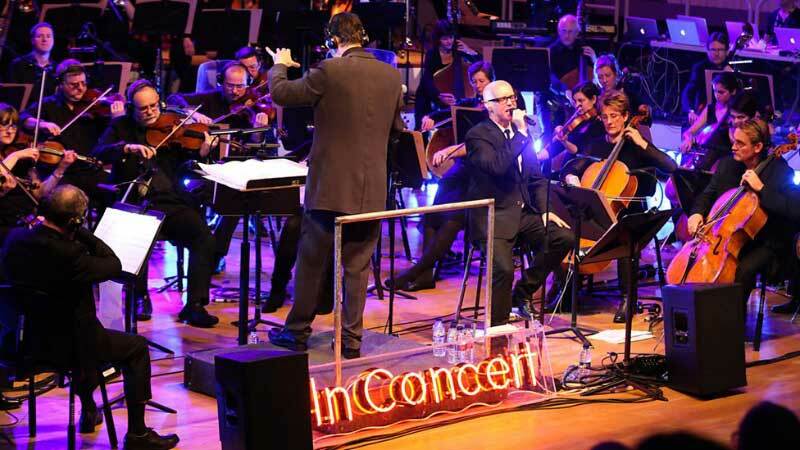 As part of the "BBC Philharmonic Presents" season, Pet Shop Boys have performed a specially orchestrated show for BBC Radio 2 with the BBC Philharmonic Orchestra at dock10 studios in Salford. Neil and Chris were joined by Johnny Marr on guitar for some songs at the concert. Orchestrations being supervised by Sven Helbig who orchestrated "The Most Incredible Thing" ballet. The concert also featured the premiere of one piece from "A Man From The Future", a new Tennant/Lowe work inspired by the life and work of mathematician and computing pioneer Alan Turing.